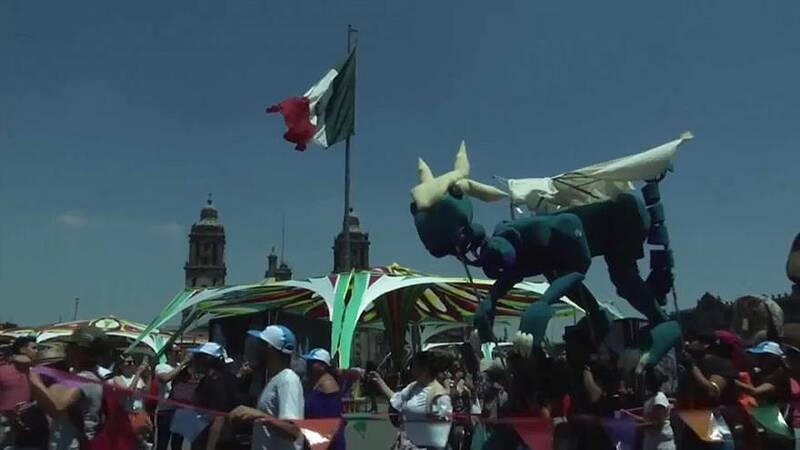 Green dragons, singing dogs and dancing monkeys took to the streets of Mexico City on Sunday, in a parade for World Puppetry Day. A worldwide celebration of marionettes, founded by Iranian puppeteer Javad Zolfaghari, the event is now in its 16th year. Sergio Aguilera, puppeteer and member of the International Marionette Union, said: "[Puppetry] comes from the world of fantasy. "The puppet's essence is not realistic, it is always synthesising, it is always trying to communicate the ideas with simplicity and clarity — the universal ideas of peace and fraternity." Spectator Lety Flores believes that in this fantasy world, everyone is welcome. "It is giving greater emphasis to the imagination of both adults and children," she said.